From the developers of Anodyne. 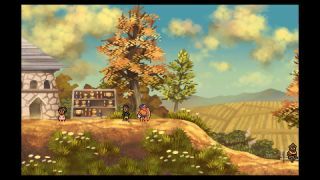 Back in 2014, past-me wrote about an intriguing platformer named Even the Ocean, from the developers of dreamy Zelda-like Anodyne. I reviewed that, and really enjoyed it, so I'm pretty interested in this "narrative action platformer about balancing the Light and Dark energies that hold the world together". Balancing the world's bright/gloomy energies sounds like a worthwhile thing to be doing, and you can finally do just that as Even the Ocean is finally out. Interestingly, if you're not too bothered about the action or puzzling, you'll be able to do a "story-only" run-through of Even the Ocean. The inverse—a 'gameplay'-only run— is also possible, as is the more traditional both-at-once approach.